Tech Legacy, Techno / House / Trance Sample from Prime Loops. 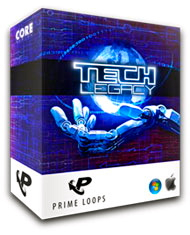 Over 250 Techno, Trance & Minimal Synth Hooks, Drum Loops, Basslines and Arpeggios, supplemented with 125 one-shot drum samples and SFX. 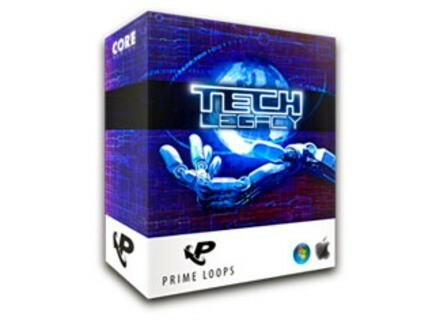 Ranging from 128-138 Bpm, "Tech Legacy" delivers "a selection of fully dynamic frequencies and vibes, uniting classic techno influences with darker minimal elements as well as contemporary sequencer lines with trance hooks," according to the company. Each file of this 350MB colletion has been formatted for all major sequencers and samplers. Available for Instant Download - £10.98. Prime Loops Announce Urban Takeova 2 The Prime Loops present to you the second installment of the "Urban Takeova" sample pack collections. New Sonic Arts - Christmas Special - Granite for $49 Until the 1st January, New Sonic Arts are offering Granite for $49 instead of $80. Audio Damage Phosphor The new polysynth 'Phosphor' from Audio Damage is announced as almost ready - expect a few more weeks of development.